In this highly competitive business environment we live in today, Companies are always looking for any edge to increase profits, technological advancements, funding, and an area often over looked, quality employee recruitment. Cloud 9 Limousine and Transportation with over 20 years of experience has continued to grow not only its fleet but its place as a Corporate Leader when it comes to providing innovative ideas for companies and their Employee Shuttle Programs. A Employee Shuttle Program allows companies to use this service as a valuable resource for recruitment and at the same time employees understand that their company has taken a vested pro-active interest in their community, environment, commute and safety. This comes with the added benefit of maximizing employee productivity during their commute time. As a byproduct of this benefit we have found that this also gives your employees the opportunity to create a networking community, in essence a think tank environment. This also can add an increase of interaction amongst various departments within your company that share their ideas during their commute time together. This will also give your company the ability to create an area of employee retention that can allow you to develop key members towards long term growth into upper management and other areas of advancement. Another major benefit to your company through an Employee Shuttle Program is that it gives you added environmental integrity within your business community. Your company has the ability to market itself as an environmentally conscious and pro-active community leader. You are doing so on a global level by decreasing emission pollution which cuts down on global warming and on a local level you are actively addressing vehicle congestion and reducing the vehicles that would require the possibility of additional parking facilities in your area and allowing those funds to be allocated towards areas of community improvement. Some Bay Area Companies that have seen the benefit of introducing Employee Shuttle Programs are. Call Cloud 9 Limousine and Transportation today to inquire about how we can add your company name to the growing list of companies who have benefited by introducing their Employee Shuttle Program. 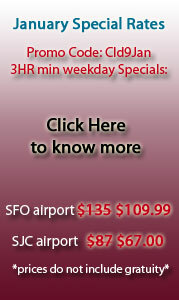 Cloud 9 Limousine has been providing Wine Tour luxury transportation in the Bay Area for over 20 years. Wine Tour outings are a fun and creative alternative to other corporate events. Whether you are rewarding your team for a job well done to entertaining those executives on their extended visits or if you are looking for a creative way to introduce a team building event to networking corporate venders in a fun and relaxing atmosphere. Our sales representatives are knowledgeable and can offer a variety of options and recommendations for Napa, Livermore, Santa Cruz and South County Wineries. 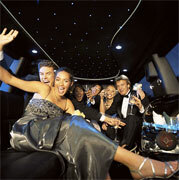 Cloud 9 Limousine can accommodate any group size safely and in style. Call Cloud 9 Limousine and let us help make your next Wine Tour event a memorable one. Want to make a great impression on an out-of-town client or visiting executive? Cloud 9 Limousine and Transportation is here to assist with arranging that added touch. Our uniformed chauffeur will be there to greet them, help with baggage and then to their waiting executive town car. They can sit back and enjoy the comfort of their personal vehicle or catch up on work while being chauffeured quietly and comfortably to their destination. Cloud 9 Limousine vehicles offer a stylish and cost effective alternative for all your corporate transportation needs. We can assist anywhere from shuttling your executives or clients to and from the Airport, providing transportation for office events or company outings or establishing employee campus shuttle programs. Cloud 9 Limousine is here to provide private, reliable, comfortable and responsible service while at all times having integrity in representing your company name with respect. We value the responsibility our corporate clients instill in us because many times we are the first or last impression to your visiting executives and we understand the importance of this service role. For the executive traveler we understand that the bottom line comes down to quality service and reliability at competitive rates. Getting through Airports these days is challenging enough without the added pressures of getting to and from SFO/SJC and OAK International. 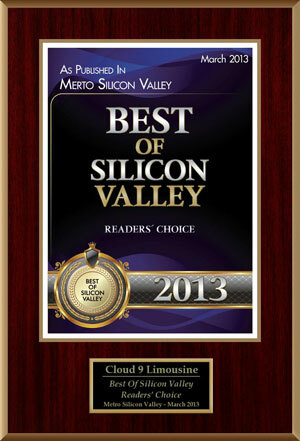 Cloud 9 Limousine and Transportation is here to help. 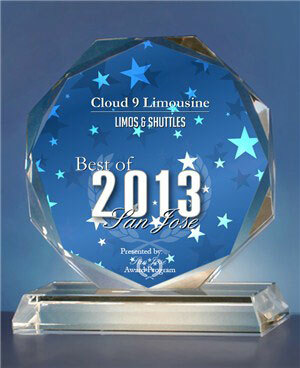 Cloud 9 Limousine is the largest operator and is recognized as a Bay Area leader in Airport transportation. We are a fully insured, licensed and compliant operator at all major Bay Area International Airports. We have taken every measure to insure all current endorsements necessary through all required agencies. Our executive chauffeurs have the industry knowledge to make your departures and arrivals as comfortable as possible. Even if there are delays or changes to your flights our chauffeurs track your flight information to insure we will be on site and ready for you. Our pledge is to get you to and from the Airport safely and on time every time, without the hassles of traffic or dealing with the expense of Airport parking or car rentals. Just sit back, relax and let our experienced personal chauffeur take care of everything. Cloud 9 Limousine and Transportation provides service to San Francisco International, San Jose International and Oakland International; we also have relationships with many Bay Area private and municipal Airports.